Fast growing deciduous shrub with tremendous late summer bloom. 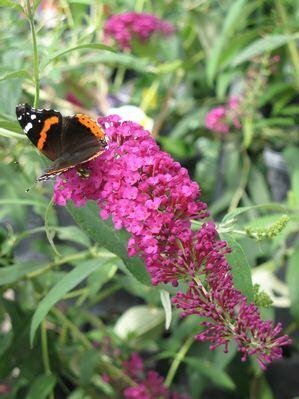 These plants are butterfly magnets with their large, honey-scented blooms. Mulch in colder climates. Pure pink flowers. Short compact plants. Mature Height: 5-7'. Hardy Zones 5-10. Immediate shipping in 4" pots.